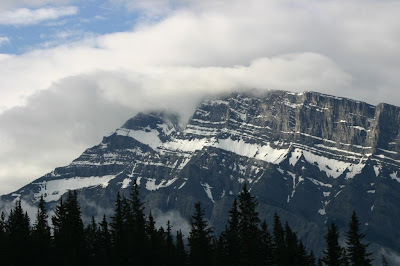 We spent the past five days in Banff National Park, Alberta, Canada. This is the Canadian Rockies at its finest. The snow and glacier covered mountains rise up on both sides of the Bow Valley while the beautiful Bow River meanders through the valley. The weather here was summed up by the radio weather forecast as “some rain today”. Yes, it did rain at least part of everyday, but has been saving the serious rain for the nights. The mountain peaks and forests have a very mysterious look with the dark clouds all around them. Unfortunately, the clouds don’t make for the best pictures and the heavy cloud cover has been affecting Fred & Jo’s satellite internet. Since we are using their internet connection, have only had sporadic internet access this week. We hiked Johnston Canyon with our boys when we were here 20 years ago and I never forgot the trail; for the most part it is cantilevered over the river. So, we had to redo this hike during this visit to Banff. 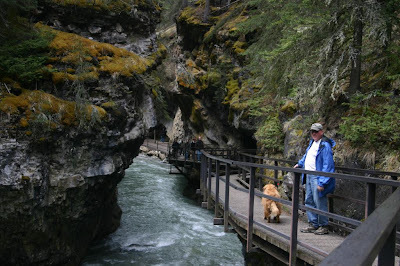 We (Kathy, Raider and I) walked the Johnston Canyon trail. The Canadian Parks are MUCH MORE DOG FRIENDLY than the US National Parks. They thought it odd when I asked if dogs were permitted on the trails or were there any special rules about dogs on the trail. 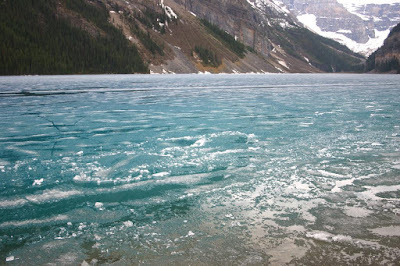 The Lake Louise has to be the iconic picture of the Canadian Rockies. Again we took Raider on the trail with us and walked to the end of the lake and naturally it rained on the way back. The lake is still partially covered in ice. 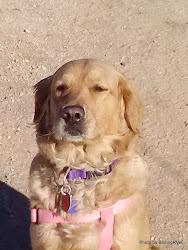 The two hikes together were 5 ½ miles. We were all tired and sore after that day and slept like logs. 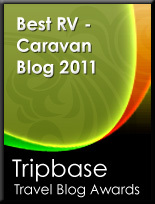 In our campground we had elk and deer grazing every day. 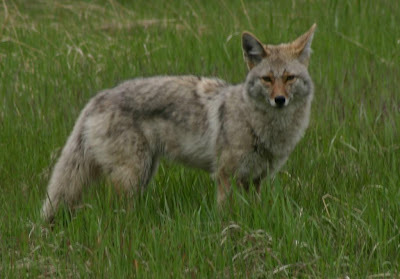 We also had 7 coyote sightings in the campground during our stay. Raider stared at the deer a long time before he decided to bark, which sent the deer running. Even though he saw the elk everyday he just looked at them and never barked at them. One afternoon as we were walking Raider we saw a coyote coming up through the campground toward us. 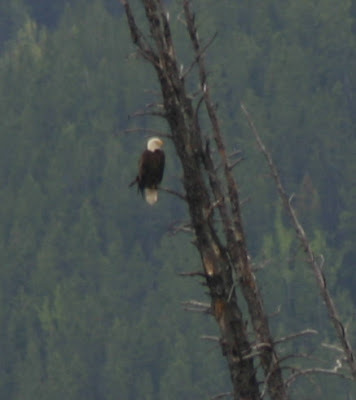 He seemed to be in no hurry and was checking out the empty camp sites. Once the coyote got to the same level we were on in the campground, he and Raider saw each other but neither one seemed to care. The coyote just turned a little to the right and continued on without even picking up the pace. 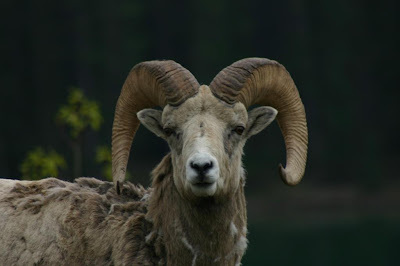 In the Park, we had a herd of Big Horn Sheep crossing the road one morning and while out birding we saw a coyote near a road and a moose across the river. We also saw numerous elk and deer throughout the Park. We spent half of two days birding various areas in the Park. 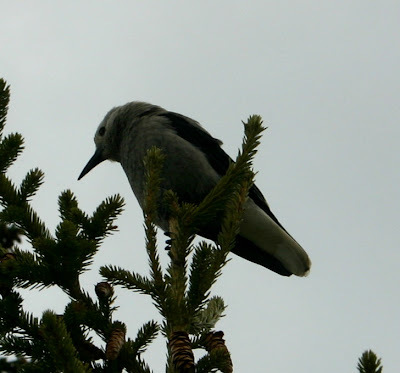 Banff has a wide variety of birding locations including marshes, rivers, lakes, forest and meadows. We saw 42 species in total and added 12 new species to our year list, bringing it up to 194. Some of the birds added to the year list include: Red-necked Grebe, Red Crossbill, Swainson's Thrush, Gray Jay, Western Wood-Pewee, MacGillivray's Warbler, Rufous Hummingbird, Hooded Merganser, Blue-winged Teal and American Redstart.